Upgrade to activate contact buttons. Najva Hosseini is a real estate and immigration lawyer who approaches legal services in a unique way, involving true collaboration and transparency between the client and her legal team. 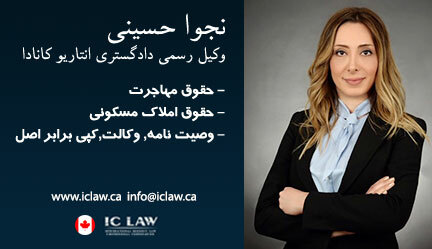 At International Connect Law Firm, she ensures that clients are actively engaged and informed throughout the legal process and that optimal legal solutions are achieved without excessive legal fees or hidden costs!